The problem of excess weight are worried about the huge number of people. However, before you start losing weight, you need to determine your extra weight. 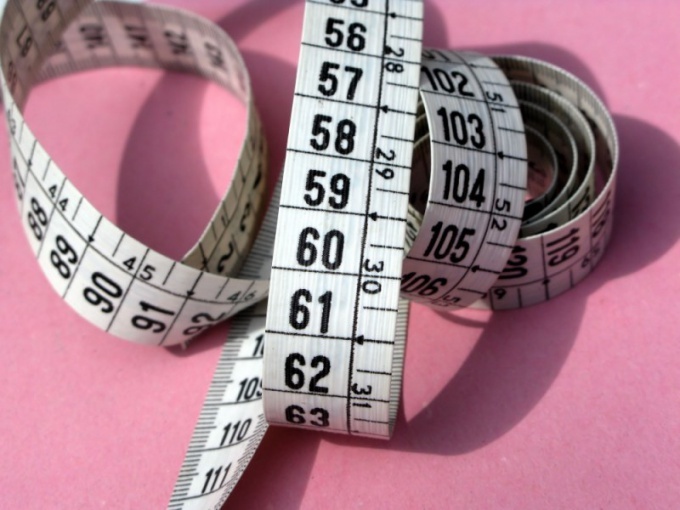 To determine the amount of excess weight in the body and calculate your optimal weight you in four main ways. Libra new generation - the easiest way to determine the percentage of excess weight. Floor scales the new generation determines the percentage of excess fat in the body. Normal in women in the body fat should be between 18 to 25% among males from 12% to 18%. Anything more is unnecessary fat, from which you want to get rid of. The definition of excess weight on the crease on my stomach. By measuring a fold of skin on the stomach, you can easily identify the excess weight. In women it should be from 2 to 4cm of men – from 1 to 2 cm If the fold over 5 inches – this is obesity. A simple method for determining the optimal weight suggested over a hundred years ago the French doctor Paul Broca. His formula for calculating the optimal weight is based on three indicators: height, weight and age of the person. According to Brock, the growth in inches you need to take 110. That is, if your height is 170 cm, your weight should be equal to 60 kilograms. If you are over forty, from the growth you need to take 100, if your height to 166сантиметров. With the height from 166 to 175, you need to take 105 with growth of 176 – 110. You also need to take into account the structure shape. Slim people from the result you can take away another 10%, and those who have a larger bone, you can add 10%. This method is considered the most accurate and helps to determine the degree of obesity and the fat reserves in the body. BMI is a ratio of body weight in kilograms to the square of the height in meters. BMI = body weight: (height X height). Body weight is measured in kilograms, height in meters. Calculations occur as follows: height in meters squared. Weight in kilograms is divided by the obtained value growth. On the figure you can judge the weight. BMI = 22. This is a normal weight. Your growth you need to know in many cases, for example when choosing clothes, calculating the ratio of the mass of the body and in other situations. However, to determine this important figure in the home, you need to know the measurement technology. Choose the right time to determine growth. This is best done in the morning as in the evening because of the load on the spine and joints the growth of the person may be reduced by a few millimeters. The same pattern, but in direction of increase, valid in the measurement of the foot. Measure your growth with the use of special equipment. This can be done, for example, in the gym, or when referring to the therapist. For these purposes, use the growth of theOmer, thus to attract the best assistant to achieve greater accuracy. Come to the bar of the growthof the Omer with divisions. Then remove the shoes so the figures were distorted because of the soles or heels. You have to stand close to it, so that the strap touched the back of your head, buttocks and heels. Straighten your back and bend your knees. At the same time your assistant should give the moving part of the growthof the Omer so that it touches the top of the head. Figure over the top and will mean your growth. If necessary, using the same device, you will be able to learn and your growth sitting. It is measured in a similar manner, from the top to the floor with the knees bent when sitting in the corner at ninety degrees. If necessary, find out your growth at home. To do this, take a tape measure and a pencil. Will prelolitas back to the wall or door, observing the requirements already given in the case of measurement with the increaseof the Omer. Swipe the pencil line above his head. Step away from the wall and measure the distance from the line-up which will be your growthohms. In the absence of a ruler and the growthof the Omer, use an alternative method. Find someone who knows your growth, and lean against his back of his. After analyzing the difference, you will be able to determine your approximate growth.